If you need more information about CityVerse Right of Way Project Management Software, please check here first! This enables you to connect directly to your data with Microsoft Enterprise Manager or a number of other 3rd party tools. You can also modify data directly without the CityVerse application if needed. For example, a separate GIS system could connect independently to the database. In-house or at an ISP you still have 100% control of your database and data, 100% of the time with no limitations. CityVerse runs in Microsoft IIS (Internet Information Services). IIS is running a large portion of the internet’s websites and is included in all Microsoft Servers. This configuration currently runs over 200 users with no issues at a fast speed. CityVerse currently runs at Microsoft Azure at their A1 Level with no delays. We aim for 99.999% uptime or down for less than 15 minutes a year. Error monitoring. CityVerse developers or your IT can receive an email the second an operation has failed. This is useful for hack attempt analysis and general troubleshooting. Also allows us to see problems before they are even reported. Custom user levels for all functions and menu items available. You can customize the screens for each user group and even allow client read only access. Partnering with Progress Telerik, CityVerse has the top player in the UI industry at our fingertips. See Telerik.com for more info. CityVerse is utilizing the latest available web technology, bringing access to almost every Browser and Mobile device. 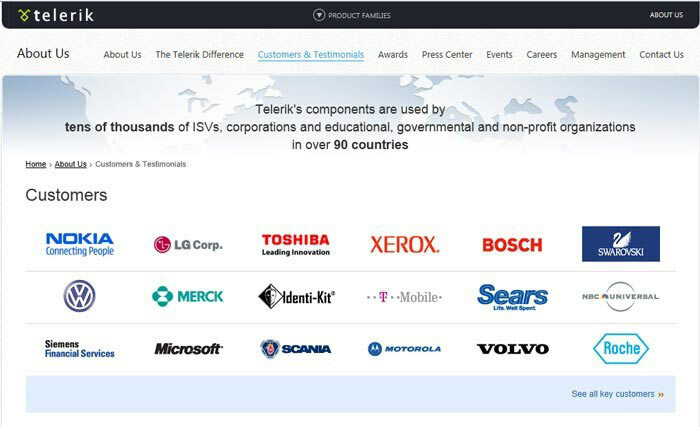 Partnering with Microsoft and Progress-Telerik Web Components, CityVerse is backed by two of the largest players on the web. CityVerse is constantly keeping up with the best methods available in today’s rapidly changing environments of new Operating Systems, Touch Pads and Smart Phones. Use the API to create new custom modules or access from 3rd party software. Develop new functionality in C# or other .NET languages and make available to users with no application downtime. CityVerse allows you to create multi-level data hierarchies on demand. This enables you to create the exact data structure you need as well as make changes or additions at any time. Each data field is strongly typed which means that if it is a date field only a valid date value will work. After custom data hierarchies or “Processes” are created they are then related to a project which intern is inherited by the parcels or contacts. Each project can have unlimited Parcels, Contacts, Processes, Reports, Forms and Uploaded Documents. Since you can create your own data processes on demand you’ll never be left with an outdated system and always be able to integrate CityVerse for use in other departments.